Shipping February 9, 2015. 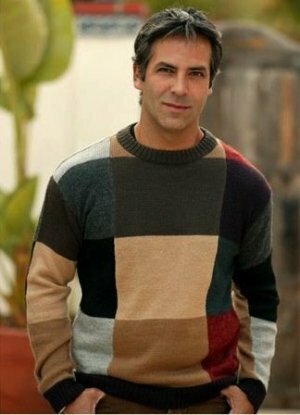 This alpaca sweater for men, features, warm and cool hues which add fascination to this attractive alpaca-blend sweater. It is handmade with a square pattern with shades of brown, steel, black, grey and copper, and is very soft to the touch. Terrific gift for Dad on Father's Day! May be worn by women, order one size smaller.